This is what the final nametag design looks like. 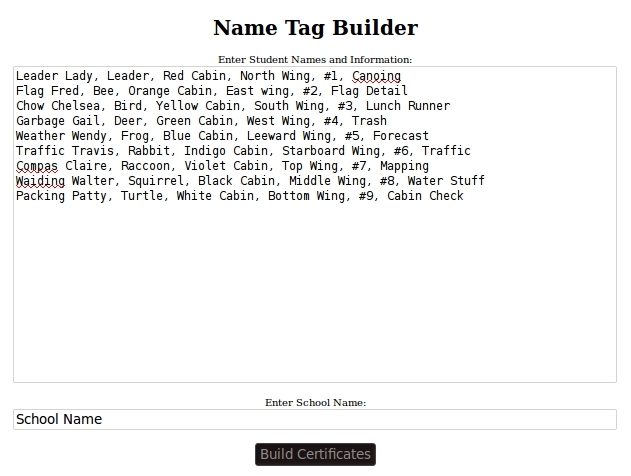 The idea is to have the kids names really big at the top and then any additional information next to the animals. 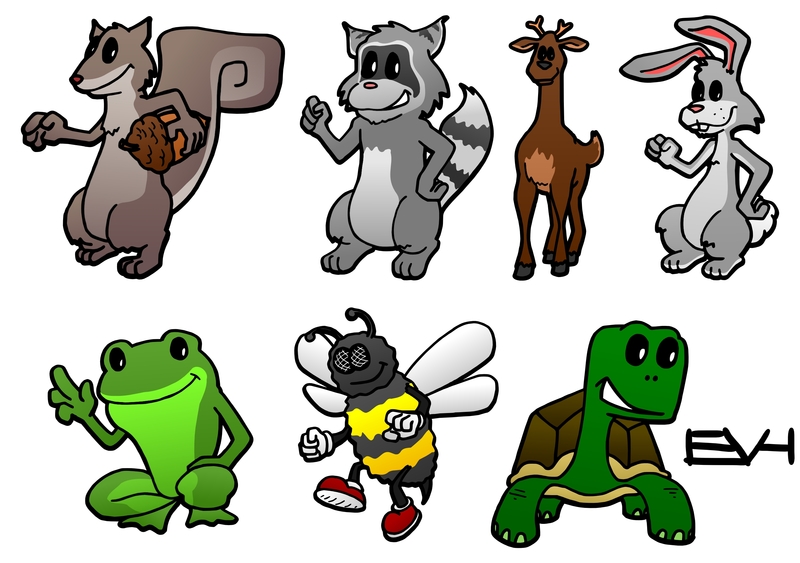 My fourth grader’s teacher asked if I could draw up some animals for an upcoming camping trip. 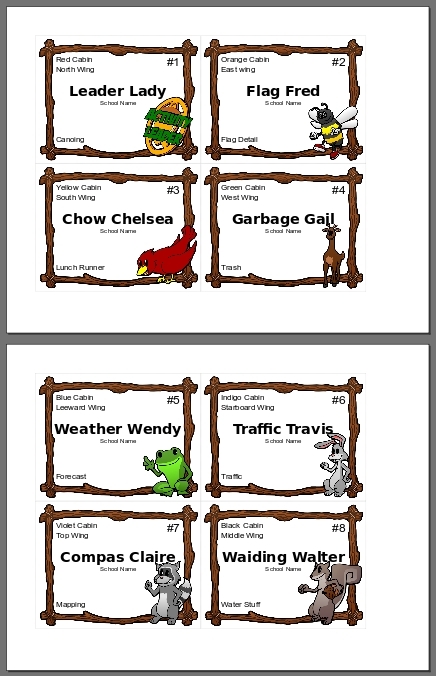 The kids are going to be grouped up into 7 different animal groups and they wanted name tags with the right animals on them. 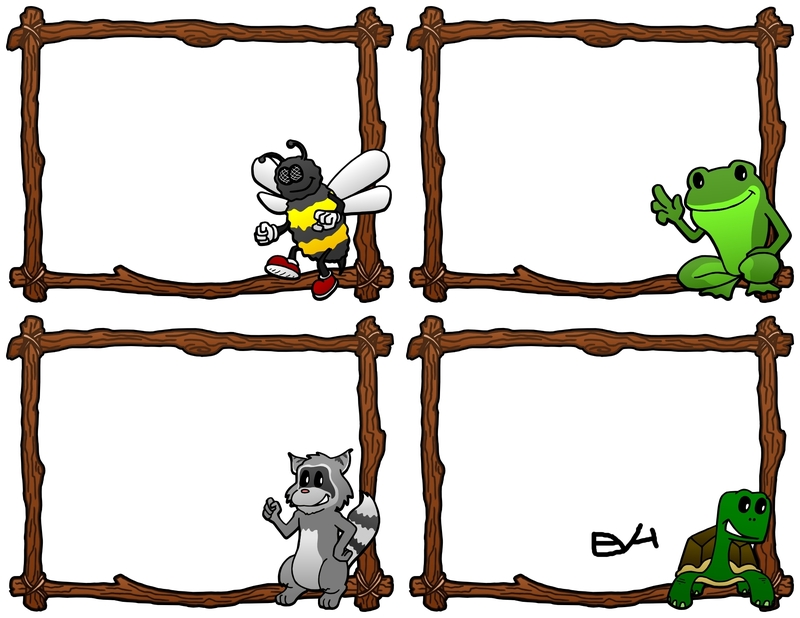 This is what I came up with for the 7 animals they gave me, and tomorrow I’ll finish up the final nametag design.